That's not blue in his suit (although that would be cool), only reflections from the wet parts. 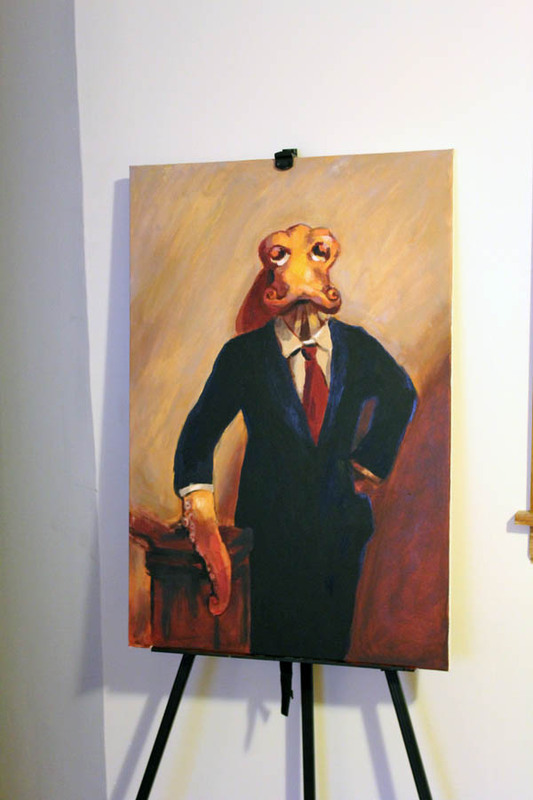 The top prize for our Kickstarter fundraising effort was a $1000 oil painting of Octodad. I had spent a day making the original digital painting in Photoshop as a parody of this somewhat well-known painting of a dapper Teddy Roosevelt. I was pretty happy with the result but had no idea if any one would buy it. The Kickstarter launched the next day and I woke up in the morning to find out this somewhat well-known dapper game developer had made the top contribution to our cause. It felt like Christmas and I wasn’t even raised Christian. Kevin Zuhn here. How much do I like making indie games? I made an indie game, while making an indie game, while making an indie game! This side side project of mine is called “I Seem To Be A Rock.” I’ve just finished making the game and I’ve submitted it to the IGF. If you’ll indulge me, I’d like to talk about how it was made. But first, check out the trailer below! Special thanks to Kevin Geisler for putting the trailer together. 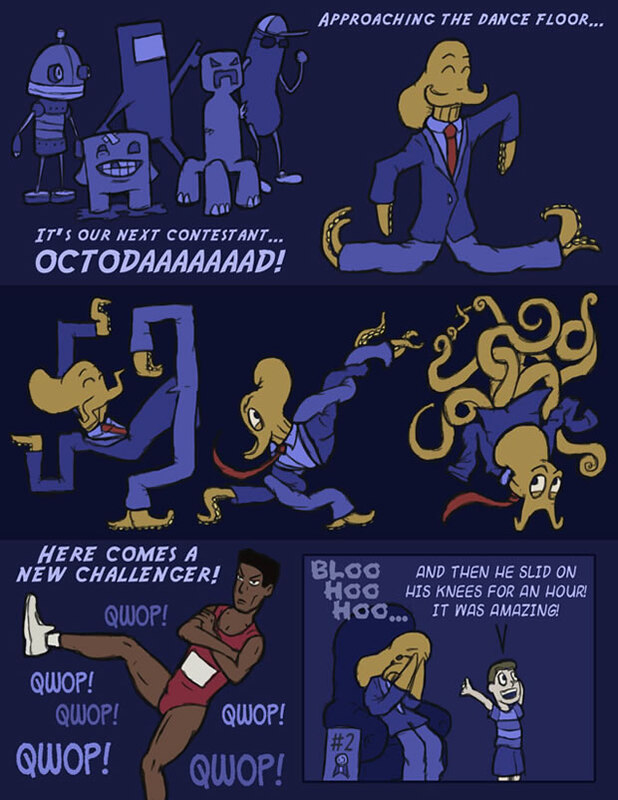 A fan asked us if Octodad would participate in a dance-off in Octodad 2. The answer is: probably not! However, I decided to make a comic exploring the subject. The Creeper came in a close third, when he exploded all over the dance floor. He raised the roof and brought the house down! 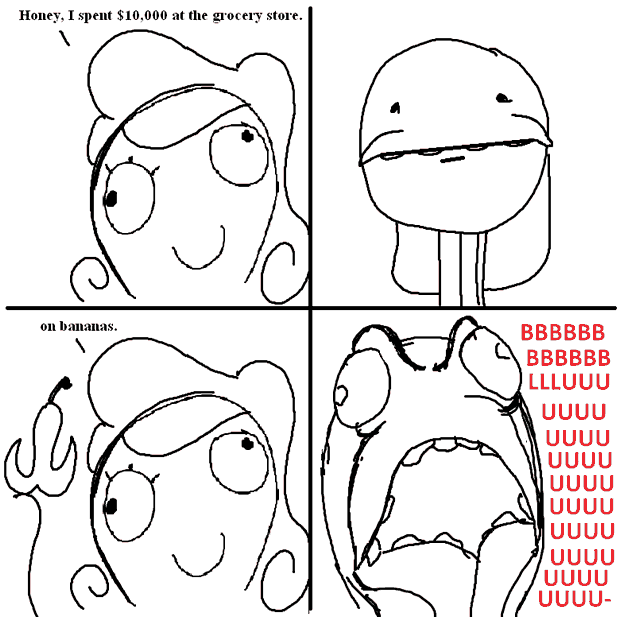 This comic brought to you by programmer/painter Devon Scott-Tunkin. I, uh…I don’t know how to explain this one. Go nuts, everybody. 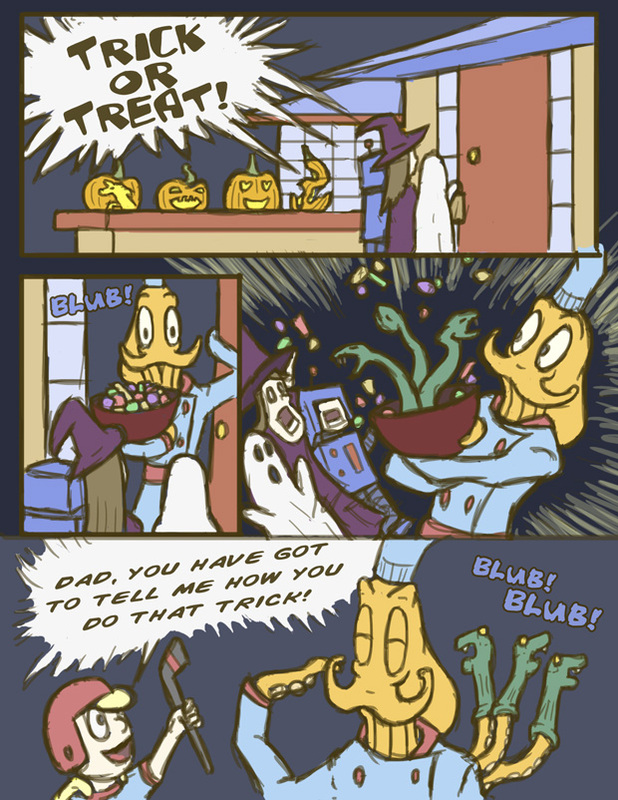 This comic is brought to you by our lead artist, Chris Stallman.